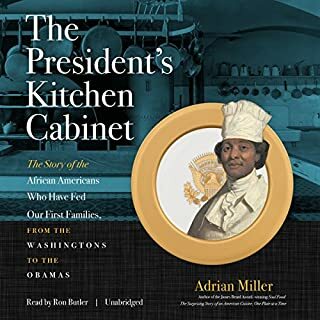 James Beard award - winning author Adrian Miller vividly tells the stories of the African Americans who worked in the presidential food service as chefs, personal cooks, butlers, stewards, and servers for every First Family since George and Martha Washington. Miller brings together the names and words of more than 150 black men and women who played remarkable roles in unforgettable events in the nation's history. Really interesting histories of the kitchen staff/chefs who served those who tried to serve us. Over the past decade, Americans watched in bafflement and rage as one institution after another - from Wall Street to Congress, the Catholic Church to corporate America, even Major League Baseball - imploded under the weight of corruption and incompetence. In the wake of the Fail Decade, Americans have historically low levels of trust in their institutions; the social contract between ordinary citizens and elites lies in tatters. How did we get here? Christopher Hayes offers a radically novel answer. This book was ahead of its time. Excellent observations from one of the smartest and most thoughtful journalists out there today. 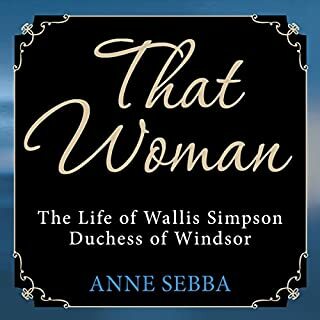 This is the book Wallis deserved. 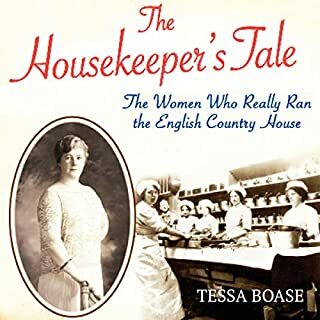 She really has been grossly mischaracterized by history and the Queen Mother - who everyone know nows was anything but all powder and porcelain. A really interesting book with a lot of unknown nuggets of information in an otherwise well covered era. This is a must for any Downton fan. 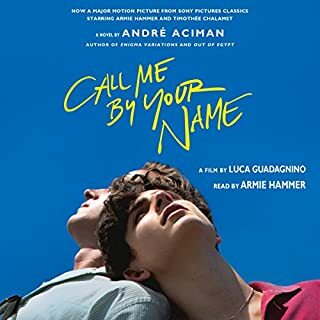 Great narration - best I've heard on audiobook. Really important anthropological history of the backbone of the revered families. 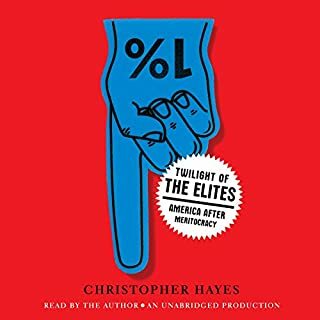 This is a must read/listen for anyone who wants to understand how we got to where we are in todays political climate. Brilliantly researched and written. Fascinating. 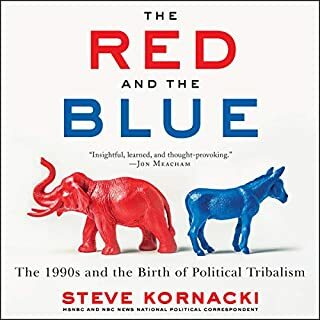 Wish Kornacki had read the whole thing but the narrator did a great job. 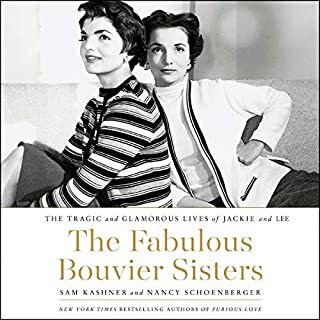 Lee Radziwell should love this book. Really highlights her career achievements and personal influence on Jackie and others. She may not like all of the book and its parts on her personal life but a good life is full of flaws and flourishes - shes had them all,. Narration was a little mechanical but good. During a 30-year boom period in France between the end of World War II and the 1974 oil crisis, Paris was not only the world's most delicious, stylish, and exciting tourist destination; it was also the world capital of gastronomic genius and innovation. 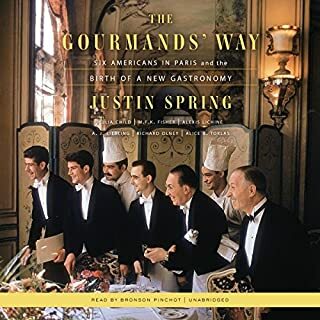 The Gourmands' Way explores the lives and writings of six Americans who chronicled the food and wine of this era, paying particular attention to their individual struggles as writers, to their life circumstances, and to their particular genius at sharing awareness of French food with mainstream American audiences. 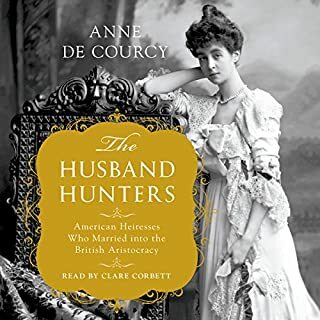 Some very interesting history in this book, definitely worth a read - listen. 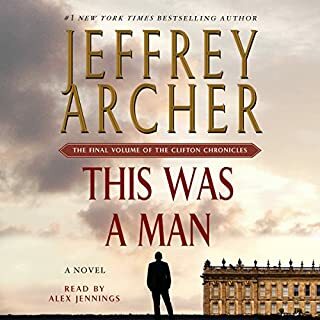 There is a period when the narration changes to someone else and becomes very amateur - otherwise Bronson Pinchot does a brilliant job narrating the majority of the book. Loved this series and want a sequel with Virginia Fenwick. Want this adapted to a movie.